Were any GOP lawmakers on that bus from Phoenix? I posted yesterday about the Arizona land grab bills and the anniversary of Bundy ranch. 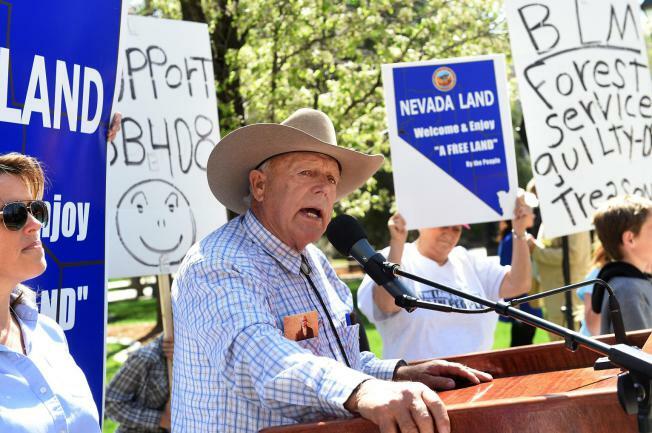 Racist deadbeat rancher Cliven Bundy and his band of Neo-Confederate secessionists rallied at the Nevada state capitol in Carson City for the federal land grab bill sponsored by Tea-Publicans in the Silver State, heard in committee today. The AP report below from U.S. News & World Report says that “A bus from Phoenix and another from Las Vegas brought more than 100 people, according to Bundy’s son, Ammon Bundy.” (AP Photo/The Reno Gazette-Journal, Jason Bean). Did that bus from Phoenix include any of the several GOP politicians in the “caravan” to the Bundy Ranch a year ago? This included Congressman Paul Gosar (R-AZ), state Representatives Bob Thorpe (R-Flagstaff), David Livingston (R-Peoria), Kelly Townsend (R-Mesa), Senators Judy Burges (R-Sun City West), and Kelli Ward (R-Lake Havasu City), several county level elected officials, and of course, former Graham County Sheriff and “Patriot” (sic) leader Richard Mack. 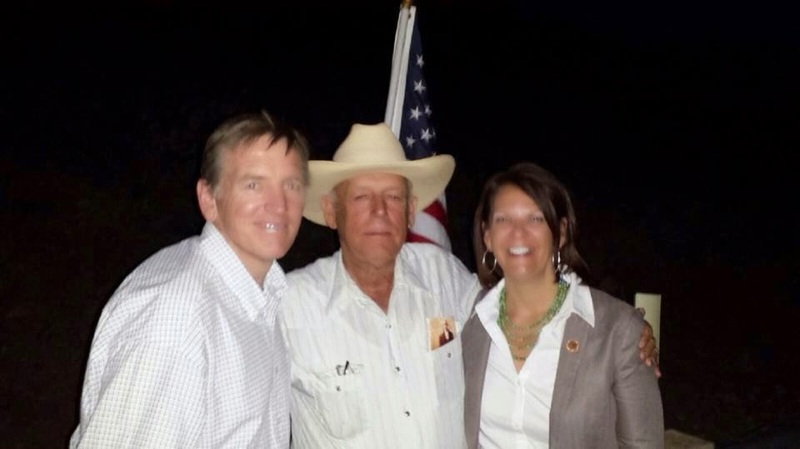 Congressman Paul Gosar (R-AZ) and state Senator Kelli Ward (R- Lake Havasu City) with their good buddy Cliven Bundy. Nevada rancher Cliven Bundy, who garnered national attention a year ago when he and armed supporters engaged in a showdown with federal authorities, came to Carson City Tuesday with scores of allies to rally behind a bill seeking to reclaim land from the federal government. The proposal, Assembly Bill 408, is sponsored by Republican Assemblywoman Michele Fiore and would require the federal government to obtain permission to use land within the state’s borders. The proposal also strips the federal government of state water rights and would allow county commissions to parcel out state land for commercial use. The bill is part of a larger movement challenging federal government property rights, especially in Western states such as Nevada, where federal and military agencies control about 85 percent of the land. The Bureau of Land Management is charged with balancing environmental and recreational goals with economic development on the lands, which include national parks. The department’s priorities in certain situations can anger residents. Such measures are routinely considered unconstitutional, even when they pass. When Michele Fiore hosts her pals from Bundyville on Tuesday, they will be there for a bill that is patently unconstitutional. That’s the finding, attached here, of a Legislative Counsel Bureau opinion on AB 408, which is some lame attempt to TAKE BACK OUR LANDS. Based upon these authorities, it clear that Congressional power to prescribe rules and regulations concerning public lands entrusted to Congress is firmly entrenched, and ample authority exists upon which to invalidate state laws which conflict with federal laws concerning the management and control of federal public lands. In addition to the general authority of the Federal Government to regulate and manage the public lands discussed above, several courts have specifically ruled on the issue of whether the Federal Government owns the public lands in Nevada, and at least one court has held that Nevada’s current statutory claim of ownership to the Speaker Hambrick March 26, 2015 Page unappropriated public lands in this State set forth in NRS 321.596 to 321.599, inclusive, is unconstitutional and fails as a matter of law. 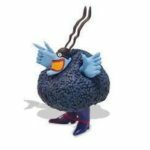 In conclusion, it is the opinion of this office that the provisions of A.B. 408, if enacted, would be constitutionally invalid. The authority of the United States to acquire and control the public lands located in this State is extensive, and ample bases exist upon which court could invalidate any state laws which are in direct conflict with existing federal laws concerning those public lands or which are hostile to or interfere with the exercise of federal authority over public lands. This analysis is also true for the Arizona land grab bills, which may be approved by Tea-Publicans in the rush to sine die this week. Will Governor Doug Ducey veto these patently unconstitutional bills if they reach his desk? Previous articleArkansas: we can do Indiana one better!